I like wine, though I do not love it. Usually, if given the option between wine and a Coke Zero, I'll go for the Coke. Or the chai tea latte. I'm more of a casual coffee shop drinker than a wine connoisseur. However, I was still interested in reading How to Love Wine because it a topic that I have some slight interest in and it's always fun to learn a little bit more about matters that interest you. Why did I choose to relate that story? Well, in part because I think it is the main point of Asimov's book. He knows that wine is something of a snobby subject to some, but he wants to make it accessible to all. He talks a great deal in this book about his own personal experience of how he came to love wine. (He is now the wine critic for the New York Times.) Learning to love a good glass of wine didn't happen overnight for him, but was developed over time. The primary way he learned to love it was by drinking it with friends over shared meals. Sharing food and fellowship is actually a huge aspect of this book and I think perhaps the only way that I could ever find wine to be pleasurable. When it is connected to a great dish or a good conversation, it can be quite enjoyable. For Jonathan's and my first wedding anniversary, we decided to go down to Napa Valley to celebrate. We were sort of getting into wines and thought it would be fun to tour some wineries and see the area. So we made these plans. The irony at the time was that I was pregnant and so I could only taste and spit, being altogether paranoid about swallowing. I'd like to go back sometime. Without a child inside of me. Nevertheless, we picked up a few bottles of Mondavi (I forget which) and brought them home to be enjoyed at a later date. And we did have fun on that trip. Asimov does tend towards liking more European wines and artfully tells you about the history and culture which brought some wines into being. Truly he made me start to feel willing to plunk down a couple hundred for a remarkable bottle of wine, just so that I could say I experienced it. I'm sure Jonathan is relieved that my better sense kicked in. (I was, however, inspired to pick up a bottle of my favorite wine which I'll tell you about in a minute. 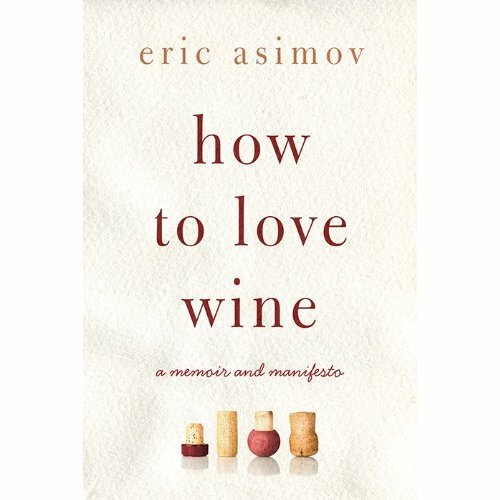 Essentially this is how Asimov suggests you learn to love wine: experiment with it. Go to a wine store and ask the seller to make some recommendation. Cook and pair your food with a variety of wines and find out what it is that you like best. Be willing to try new things. Loving wine is not about taking notes, smelling smoked wood, tasting the essence of raspberries or whatever and then spitting it into a cup. It really is about sitting at a table with good friends and/or family and taking the time to relax with them and engage in conversation. Good fellowship, I dare say, can make a mediocre bottle of wine seem truly great. 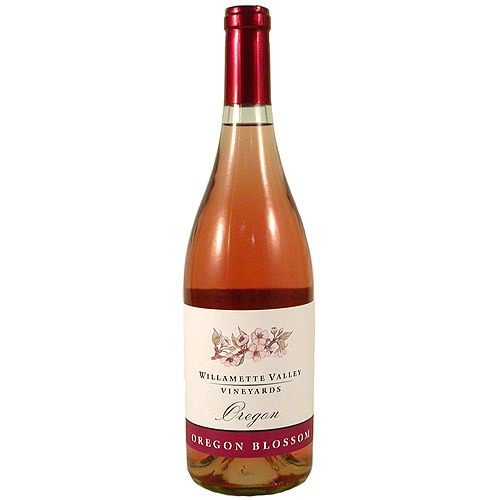 Oregon Blossom by Willamette Valley Vineyards. (This is a vineyard that is about 30 minutes north of where I live.) It's a white wine that is pale pink in color. It's pleasantly sweet. Although I know I've had it with food, I cant remember exactly what I ate with it. Most of the time I drink it alone, for dessert. Always I drink it in the company of others. Most notably, my friend from law school, LT, and I have a glass when she comes to visit. However, this time she comes to visit she'll be pregnant so we'll have to take a pass and save it for another day! This book was a very pleasant read because wine holds pleasant memories for me. It's a special treat that I don't indulge in often (because I like other things better, truthfully) but Asimov wrote so well I was moved to give wine a try again and place it on the table a little more often. Because it is a drink that cannot be rushed, it does promote a slow meal experience and lingering in conversation is not really such a bad thing. Thanks to William Morrow who sent a copy of this book in exchange for my honest thoughts - which rambled on a bit! My beliefs about wine have more or less followed the same line yours did, minus finding a Christian community who didn't consider it taboo. I've seen that online though most people I know in person don't partake. If I were to ever drink wine I'd need a book like this to sort out what to try. At present I don't drink any kind of alcohol because my father was an alcoholic (though wine was not his drink of choice) and because of my own tendency to go all in with things I really like and to have trouble keeping them in moderation. I have enough struggles of that kind without adding another. :-) I did drink to some degree as a teen-ager -- awful, I know. Someone always had a brother or friend willing to buy for underage kids. That was the year before my parents divorced and I've chalked it up to one of those odd things people do when the world is falling apart around them. But after my parents divorced and we moved and I began really seeking the Lord, I distinctly remember seeing a wine bottle on the counter and thinking that alcohol had contributed to both of my parents' troubles and I just didn't want to have anything to do with it any more. I've never felt the freedom in my own spirit to overturn that even though I don't begrudge others partaking in moderation. Derek and I don't drink. For me, I did a long time ago and realized that alcohol is a depressant for me. Derek doesn't for other reasons. BUT in 2008 we went to NY for a getaway, and we did go to one or two places for wine tasting. (We don't even partake at weddings, so this kind of amuses me.) He enjoyed himself. I, on the otherhand, had the best grape juice I had ever had...was pregnant at the time. My pastor had a great message on alcohol once. (Keep in mind that MANY in our congregation do partake.) For himself, he chooses not to, but he didn't shun it either. PS. Of the wines I have tasted, ICK! Growing up as a Southern Baptist pastor's daughter in rural Arkansas my upbringing with alcohol was similar to yours. Then I moved to New England as an adult. 15 years later I'm no longer shocked when offered wine or other alcoholic beverages at events and in homes (including Christians). So far my husband and I have continued our tea-totaler status but we've had conversations about wine. I think for me it continues to be one of those areas that deep in my head a voice applies false guilt about doing. So I don't - for now. But might in the future. I'm trying to teach my kids that drinking alcohol is not a sin but being drunk is. It's a difficult distinction to make when you are a child. It's so interesting and fun reading everyone's responses to this. I've replied to at least one of you in e-mail. Loved your Mme Bollinger paraphrase at the end! I'm a new follower. I'm enjoying reading your take on life, the Universe and books! I come from a church background that is very anti-alcohol. I was taught that it was unbiblical to drink AT ALL and then was confused in college as to why I couldn't find the prohibition in the Bible. A few years later, some discussions with my husband, and we've come to the conclusion that drinking in moderation is ok. No drunkenness. I have yet to drink anything alcoholic simply because I'm a bit nervous that alcoholism runs in my family (both my parents struggled with it). My husband has tasted a couple wines I've used in pasta sauces and didn't like any of them. So we're still a "dry" household but not out of religious conviction. It's really a shame that you don't like red, considering that some marvelous Pinot Noir comes from your neck of the woods. While my immediate family didn't drink when I was a kid, we weren't dogmatic about it. I had extended family that would enjoy a glass of wine from time to time. I'm not sure exactly why things shifted around the time I came of drinking age, but I think that in general, at least here in California, the Christian community began to be more accepting of alcohol in moderation. My love for wine is connected with my love for food. It is all about the pairing and the interaction between the food and wine. I agree that it also slows meals down, which has been a positive for me. I'm glad I have this information. I'm almost exclusively a red wine drinker (Merlot and Syrah...not Pinot despite Oregon's being drenched with the nasty stuff), but I now know your tastes a little better. This sounds like kind of a neat book. If given the choice between beer and wine, I'll most likely take the beer, but my grandfather used to make wine so I know a little about it.